"Welcome to 'Classic Doonesbury.' In selecting the strips for this retrospective journey, we're going deep, literally back to Day One. 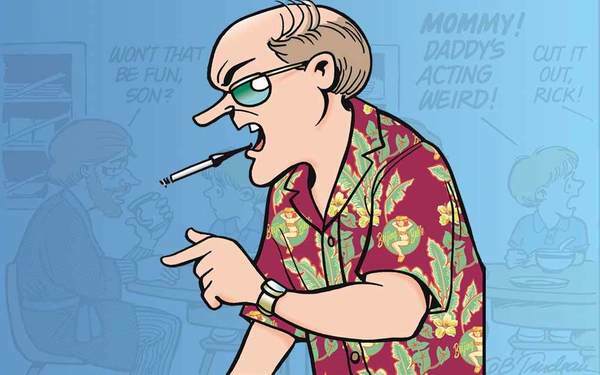 Revisiting strips from every year of syndication, I hope to hit many 'Doonesbury' high points, focusing on how the characters (over 75 of them) got involved with one another. Since their lives have always been bound up in the events of the day, it should be a kind of déjà vu for my peers, and maybe a 'What were you people thinking?' for newer readers. I hope all of you will enjoy the trip." Doonesbury has managed to be articulate, abrasive, political, compassionate, misunderstood, misprinted, and outrageous - but one thing it's never been is complacent. Garry Trudeau's creation has chronicled American history and culture in a parallel universe. And through it all, Doonesbury has always been honest, entertaining, and thought-provoking.